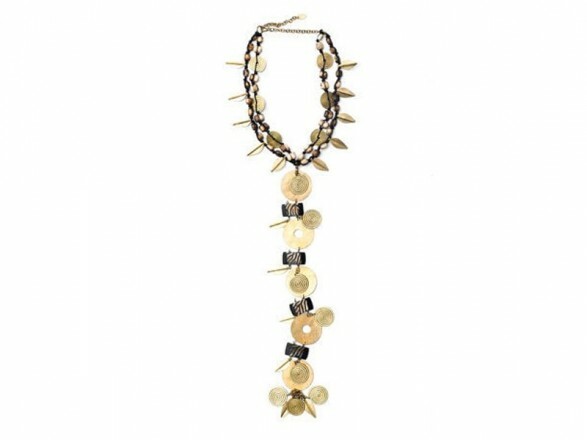 Leonarda Design once again talks about his passion for ‘Africa and ethno-chic jewelry in a stylish new collection of tribal jewelry, beautiful and refined. 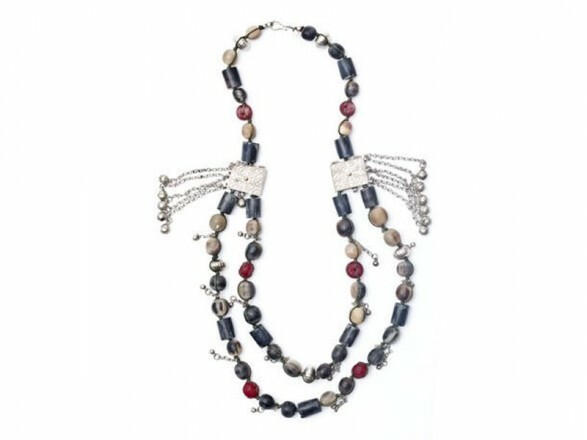 The flavors and moods of the dark continent come together with bubbles of bone and the part and make necklaces and bracelets. Copper, aluminum, silver, hand-wrought, forged as small arrows, just big shining stars by moonlight this size only results in a small rounded necklaces with geometric elements, ellipses, spheres colors reminiscent of the walls of Gubbio. Large pods fall Aztec flavor rather regally on the neckline surrounded by small arrows pointed. Long rows leading up to the sides of a composition spread geometry. Necklaces Leonarda designs are able to “dress up” and create the look. The waterfall of metal and bone at times comes up to her hips like a long scarf, as an exclusive object of some African tribes the most mysterious and unexplored. Finally, the Leo Scarf The most significant piece of the whole collection: a long scarf of colored micro beads mixed with rows of thirty or forty small stones that open a curtain on the multi-colored body of the wearer and lead us, as if by magic, in Nairobi.